The film “The Fault in our Stars” is a must see. So if you haven’t seen it, STOP READING, go see the film – go right now, and then continue. Go see it because it’s funny and it’s serious, it’s a comedy and it’s a drama, it’s romantic and it’s stoic, and it’s everything else a great film can be. 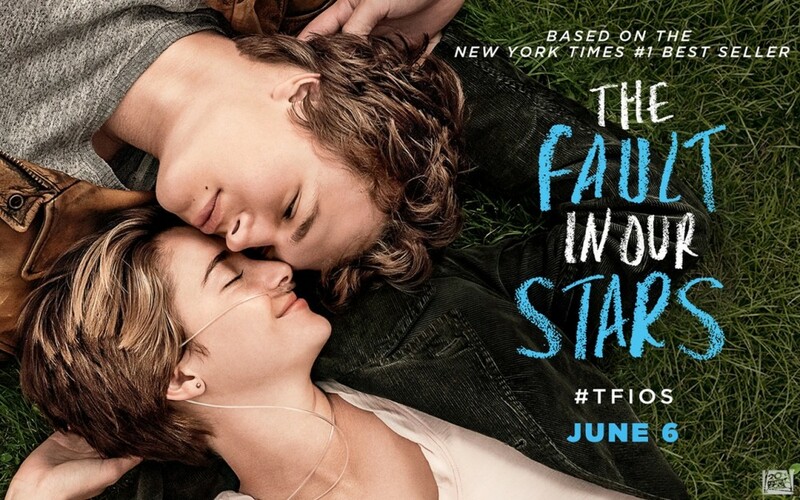 The Fault in our Stars staring Shailene Woodley and Ansel Elgort received mixed reviews. Notwithstanding, if you love a love story and love to see love in action and love to love as well, this romance is for you. It teaches us how to love, again. The smiles that are forced in pain and the seriousness that comes with play are fused and forged together in this heartwarming, tearjerker of a film. Our stars have faults, our idols have cracks, and our favorites have fissures. It’s no secret that the worst in us can come out of the best of us. Our lives are lived with a sometimes cruel combination of love and hate and ups and downs and ins and outs and unfairness and equity and right and wrong and good and evil. And without love and laughter, we might as well cancel tomorrow. And so, not to spoil the film for those of you who haven’t seen it yet (slackers! ), the film teaches us life lessons. It reminds us and beckons us and summons us to recall and recount the power and potential and capacity and competence of love. It has been said that we learn more from our failures than from our successes. And so this special film teaches us the laughter of love through the sorrow of sickness; the beauty of hating illness and the horror of hurtful healing; the heights of newfound passion and the depths of long-lost affection; the lighter side of death and the heaviness of life. The film teaches the lessons we need to learn about the power of coming together and the weakness of staying apart; the fullness of being joined and the emptiness of being separated; the joy of a cold winter day with the one you love and the sadness of a beautiful spring day alone. These are the lessons of our fault filled stars. This film teaches us that without love we feel the coldness of the sun and the warmth of the moon. Without love we know the joy of nothing and the distress of everything. Everything is inverted and infested, ingrown and overgrown, backwards and twisted, upside down and wrong side up. This film teaches us to live, and to love, no matter what. This film teaches us the power and passion and persuasion of love. Without love we believe we can know the number of the countless stars, yet we doubt that we can have even the fraction of effect on any one person in our corner of the world. It has been said that “the effect of one good hearted person is incalculable” (Oscar Arias, Former President of Costa Rica). Amen to that. So in this game of life, we must live, laugh and love. All three together are the essential ingredients for all of our days and the balance of our years.